UNR received a seventh seed and will play No. 10 Florida on Thursday in Des Moines, Iowa, in the opening round of the NCAA Tournament. No. 8 Utah State meets No. 9 Washington on Friday in Columbus, Ohio. The similarities to last season for UNR are eye-catching. Now it’s a matter if similar results will follow. The W0lf Pack lost to San Diego State in last year’s Mountain West tournament, went into the NCAA Tournament as a No. 7 seed and advanced to the Sweet 16. They lost again to the Aztecs on Friday in the conference tournament and received another No. 7 seed on Sunday. 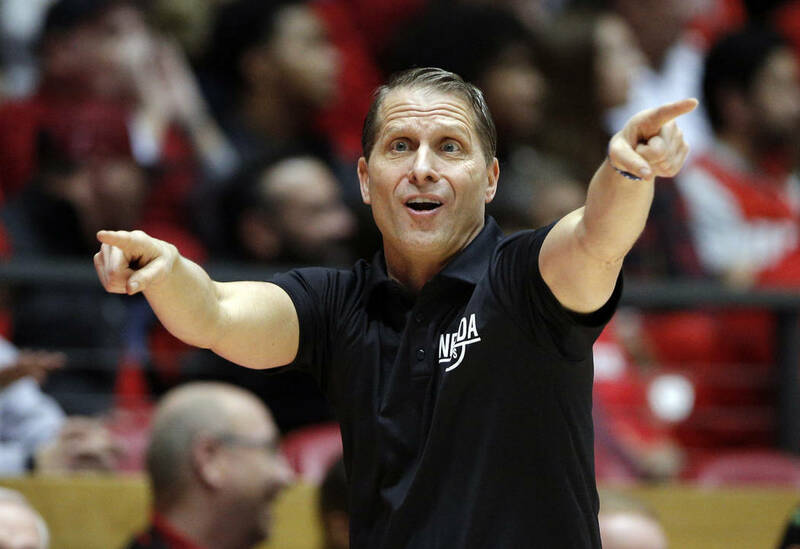 But before UNR (29-4), which is ranked 14th nationally, thinks how far it can go, coach Eric Musselman for now is concerned with getting past 10th-seeded Florida (19-15) in a West Region first-round game Thursday in Des Moines, Iowa. UNR was one of two Mountain West teams to be selected to the NCAA Tournament. Utah State (28-6), which shared the regular-season conference title with the Wolf Pack and won the automatic bid as tournament champion, received a No. 8 seed. The Aggies will play No. 9 Washington (26-8) in a Midwest Region game on Friday in Columbus, Ohio. Former UNLV coach Dave Rice is an assistant with the Huskies. The Aggies are in the tournament for the first time since 2011, and they came from seemingly nowhere this season. Utah State was picked to finish ninth in the Mountain West, but under first-year coach Craig Smith, quickly rose to the top of the league. He said he wasn’t satisfied with just making the field. 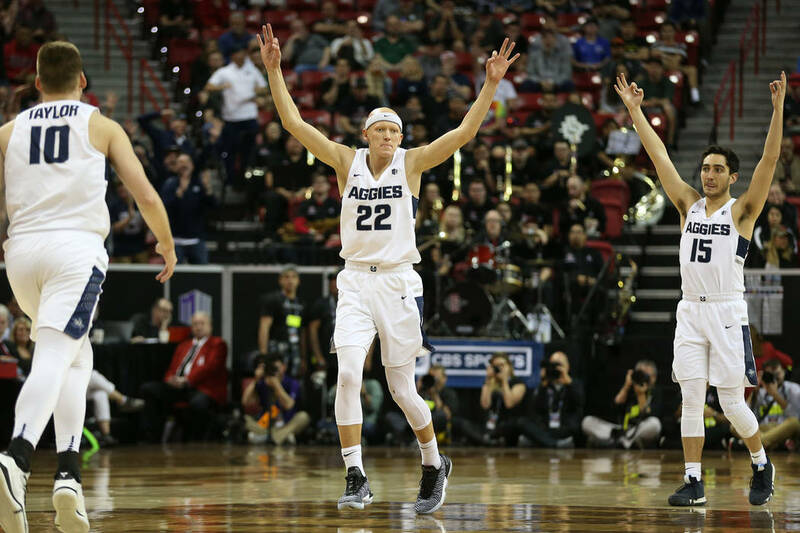 Utah State has not made won a tournament game since 2001, but this is the highest seed the Aggies have ever received. They were seeded 10th in 1983 and 1988. UNR enters the tournament after losing two of its previous five games, including 65-56 to San Diego State in the conference tournament semifinals. Musselman didn’t sound concerned about trying to create momentum, noting the Wolf Pack beat the Aztecs 81-53 to end the regular season. The Wolf Pack had to sweat a little before finding out they were in the tourney. The West Region was the last one unveiled.